For many American Jews it is a source of profound discomfort and embarrassment that Jews actually carry weapons and fight. 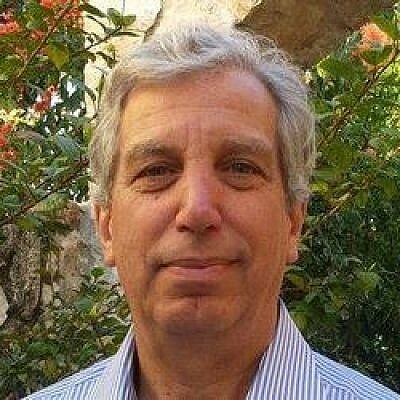 In a deliciously ironic move, the same folks who loathe the president of the United States are beseeching him to restrain his best friend in the Middle East, Israeli Prime Minister Netanyahu, from a sure to be disastrous move that might result from Israeli sovereignty over Judea and Samaria. Ironic, since it was the same U.S. President Donald Trump who just signed a proclamation declaring American support for the annexation of the Golan Heights, which Israel effectively annexed more than 35 years ago. A further irony since these same groups would have told you that such a move would be similarly disastrous. In a letter sent a few days ago, the nine signatories, more than half of which are arms of the Reform and Conservative movements, and two of which, the ADL and the Israel Policy Forum, were shills for the Obama administration’s Middle East agenda, sounded the alarm as to the endangerment of the two-state solution. Further expressing the view (make that the threat) that annexation will make it more difficult for American Jews to support Israel, the signatories basically resort to the increasingly frequent “it’s our way or the highway” view of Israeli policy. Let’s be frank; the letter is intellectually dishonest. Of course it is possible to disagree with Israeli policy and its leadership. But in effect to condition support for Israel on it adhering to what the signatories want to see happen is both a blatant statement of lack of support, and a failure to understand why support for Israel might be lessening among American Jews. The key to this parting of the ways might best be understood by the recent surveys showing the profound rightward migration of Israeli youth, and their overwhelming preference for the prime minister over his opponent in the recent election. This movement has nothing to do with American Jewish sensibilities. It is not a finger in the eye nor a thumbing of the nose at our American brethren. What it represents is the logical conclusion to growing up with an intractable Palestinian leadership, a wantonly murderous Hamas regime and the willingness of a great many Palestinians to commit unspeakable acts of terrorism against innocent civilians. For these young people, who either have recently served, are now serving or who are about to serve in the Israeli army, the up close and personal need for security and deterrence, and the consequences of their absence, are anecdotal, not abstract, takeaways from actual experience. These same young adults scoff at the idea of rewarding Palestinian aggression and intransigence with sovereignty, as they gaze at the Gaza border and recount the sad lessons of the 2005 disengagement. In the waning days of the Obama administration, the Israel Policy Forum waxed euphoric over the vision and wisdom of then Secretary of State John Kerry and his unceasing efforts to bring Israel to the table, that is, to make concessions to the Palestinians in the hopes they might deign to consider the possibility of discussions. Perceived Israeli intransigence of course resulted in the shameful abstention of the Obama administration in the vote for UN Security Council Resolution 2334, which will assume its place of pride alongside the “Zionism is Racism” resolutions of the 1970s. At the same time, American Jewish youth is turning increasingly leftward, extolling the merits of intersectionality in which a hodgepodge of the self-defined “oppressed” can find common cause and common antipathy against Israel and, to a growing degree, Judaism. In the classic “are you with us or against us” sensibility of the hard left, young American Jews risk charges of dual loyalty for supporting the oppressive colonialist Jewish state. And so they are voting with their progressive feet, and casting Israel away. Worse, their parents are increasingly mum for fear of being labelled chauvinists or racists, or are following suit themselves. There is an overwhelming consensus in Israel that there is no partner for peace. The more candid among us will say that this represents the failure of the two-state paradigm. The rest, fearing American condemnation, will not make the logical leap to the obvious conclusion that the two-state paradigm is a non-starter and that holding on to it actually impedes the possibilities for peace in the region. But they know it, even if they don’t say it. As a proud Jew, it pains me to recognize that the true cavalry riding to our aid and assistance are not the Nine Horsemen and their fellow travelers, but rather our Christian Zionist friends who see the situation here with far more clarity, with less ambivalence or ambiguity. For many American Jews it is a source of profound discomfort and embarrassment that Jews actually carry weapons and fight. It’s all so very 20th century, nationalistic, particularist and obviously bespeaks a failure to will a condition of peace that Israel could bring into existence if it would only really try. As an American immigrant to Israel of 10 years standing, I know that this is the DNA of much of American Jewry. It might be denied or pooh poohed, but it is nevertheless the reality. And it is a wonderful gift to be able to focus on one’s own moral bona fides without fear of the consequences of such sanctimony. But here it is different. We have real enemies, we face real hostility and the axiom about what happens if Jews put down their arms is as true today as it was in 1920, 1947, or 2002. Israel is the unprecedented adventure of Jews living with sovereignty and national self-determination. These come with a price, and the price is above all the permanent loss of rose-colored glasses. My humble suggestion is that the Nine Horsemen turn their focus into saving the American Jewish community, and let us worry about how to survive and to thrive here. Mr. Altabef is the Chairman of the Board of Im Tirtzu, and a Director of the Israel Independence Fund. He can be reached at dougaltabef@gmail.com.